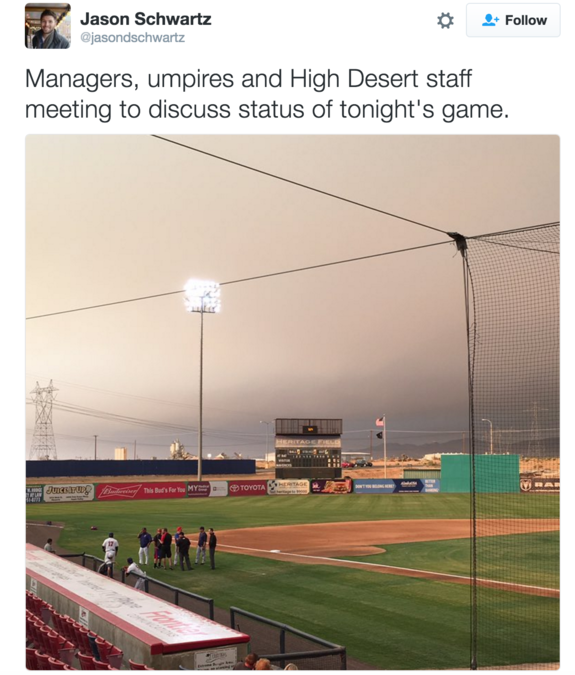 While the massive BlueCut wildfire took place just 20 miles to the south, the Lancaster JetHawks and High Desert Mavericks on Tuesday played Single-A baseball. 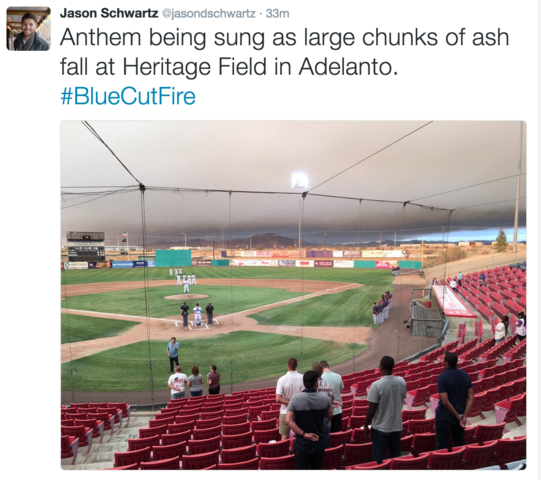 As the Star Spangled Banner played at Heritage Field in Adelanto, Calif., Tuesday evening, chunks of ash fell onto the field in front of a small crowd gathered to see Tuesday's contest. The wildfire claimed 9,000 acres as of Tuesday evening, and forced the evacuation of 85,000 residents. Heritage Field is located just outside the mandatory evacuation zone. 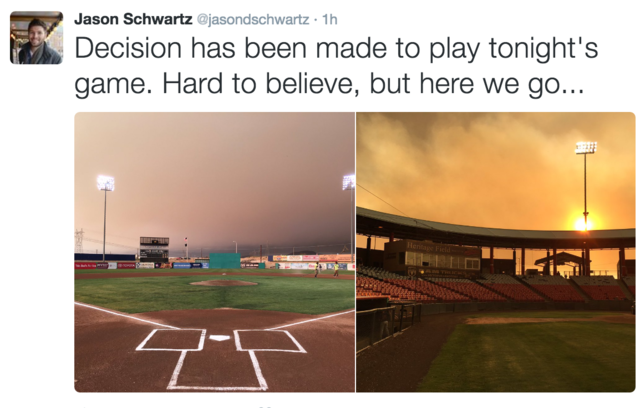 Jason Schwartz, the JetHawks' radio broadcaster, captured some of the images and posted them on Twitter. According to Schwartz, staffers met with league umpires before Tuesday's game. With the players, umpires and essential staff already at the ballpark, a decision was made to play Tuesday's game. The fire started Tuesday morning, and within 12 hours, grew into a massive blaze, consuming large parts of the California high desert.